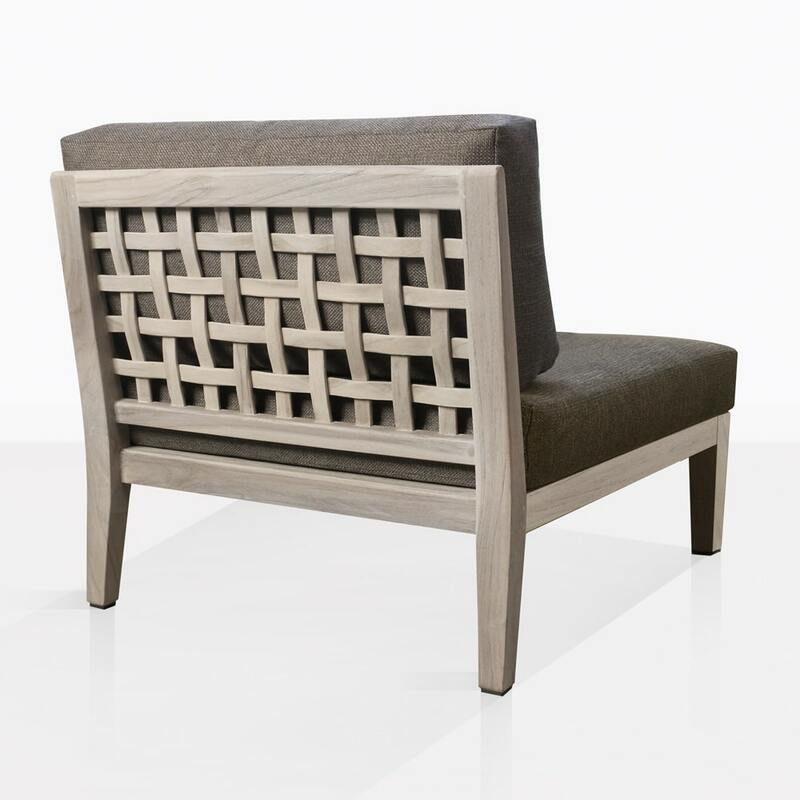 Made of aged teak, the Masello Sectional Center Chair is a modern and sophisticated sectional chair that can stand-alone or compliment the entire Masello collection. The depth of this chair makes relaxing effortless. 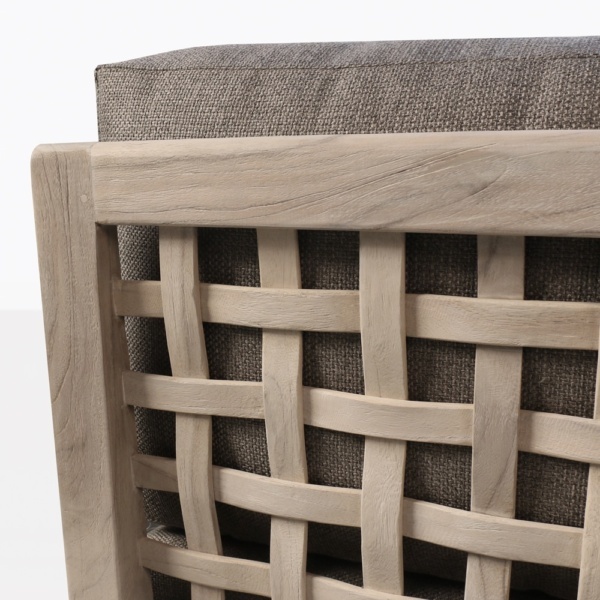 The woven back gives this chair character and a unique aesthetic unlike anything you’ve seen before. Paired with our Sunbrella® cushions you may find it impossible to abandon. Easily imagine a gorgeous sunny day, with nothing to do besides relaxing in this beautifully designed chair made for ultimate comfort. 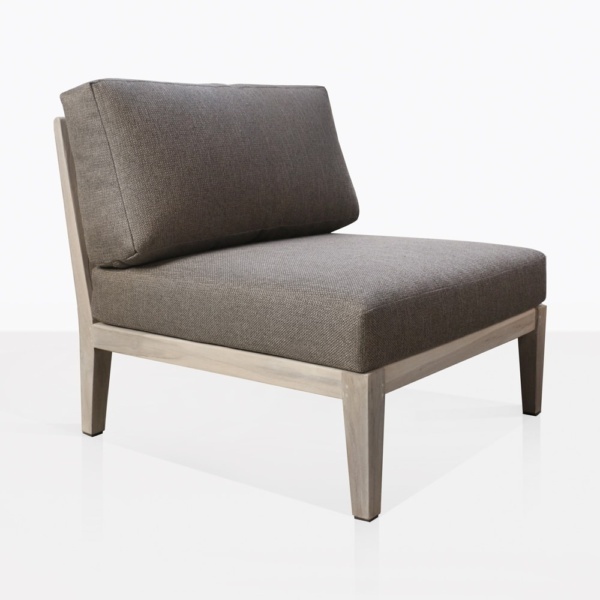 Lounge around on the Masello Sectional Chair while taking time for yourself or treating your guests to a truly relaxing experience.